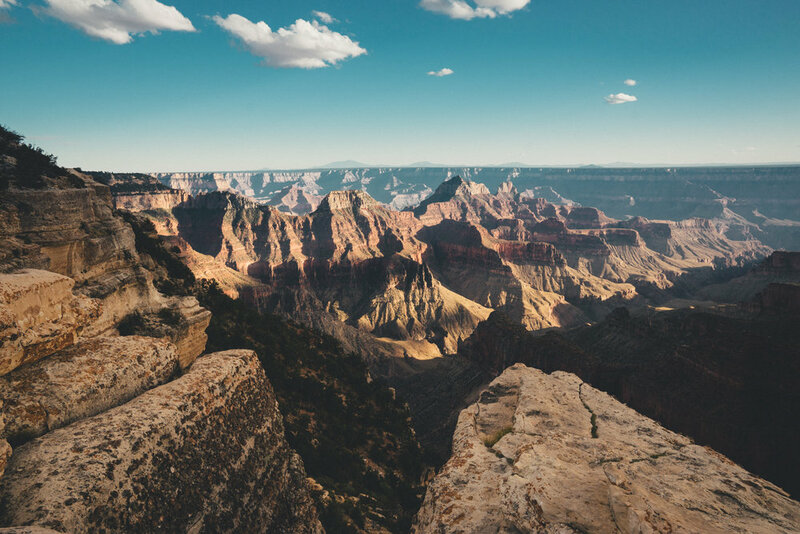 The Grand Canyon is phenomenon and a must see when you’re in Arizona. It was far off-route for me, so I rented a car for a one-day detour. 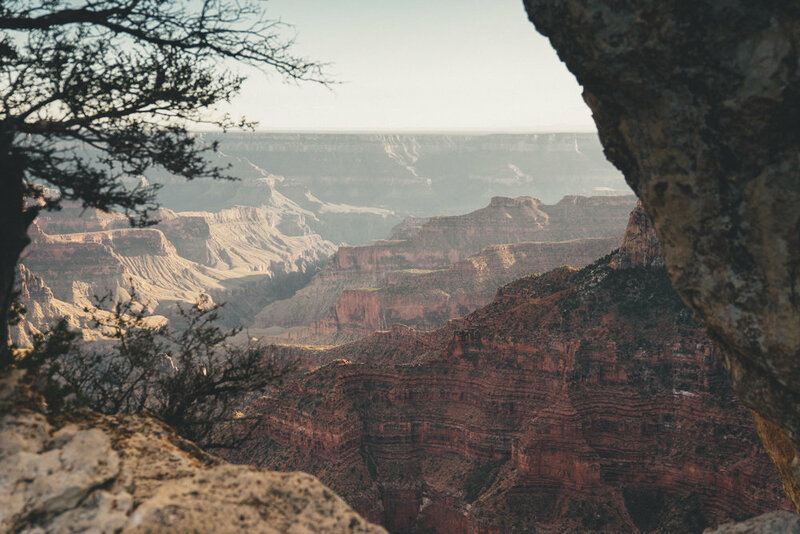 Everything is well organised at the North Rim National Park. There’s a restaurant, campground and paved trails that lead you to the most stunning views. Even in late season there were quite a lot of people visiting the park. Inevitable of course, for such a famous landmark. To be honest I wasn’t really enjoying it. I felt I was ticking boxes. 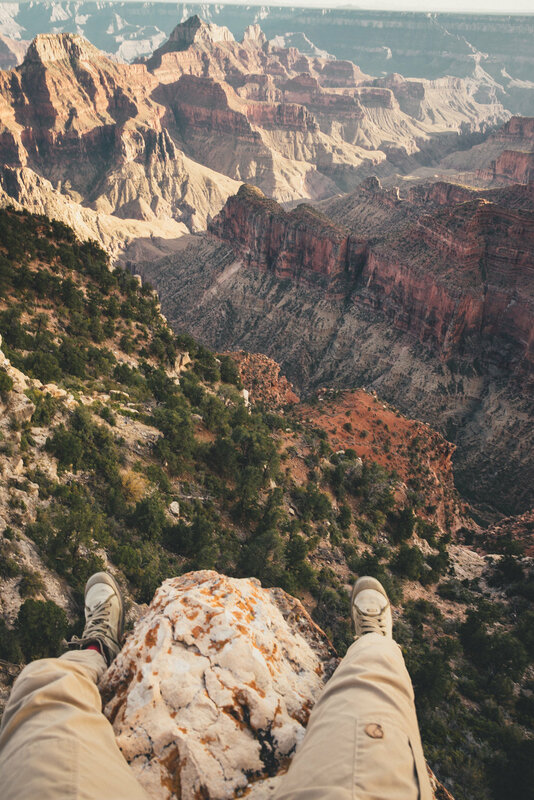 Grand Canyon, done that. Yosemite, done that. I’ve been spoiled by natural beauty the last months and simply driving here (in a Ford Mustang I know, it’s ridiculous), stepping out of the car and take a few pictures didn’t do it for me. It’s too easy, accesible and expected. If I see things in the light of my journey, The memories that stick with me the most Are the places I have to work hard for it and earn a beautiful view. Every view from a summit only amazes me when I’ve cycled, or hiked up to it. Just sitting here on the edge of this cliff, being chilly, coming out of a heated car doesn’t satisfy. It doesn’t live up to the excitement of sleeping in thunderstorms in the desert, or cycling through the snow to reach Crater Lake. Of course, I understand that for a lot of people this is the one of the greatest natural wonders they have seen. People come here to celebrate their wedding or honeymoon, or it’s the ultimate destination for a road trip. The views don’t lie, it is pretty spectacular. I guess it’s just me not being in the moment. It can’t be amazing all the time.